Ring Lock scaffold system which can be used for all forms of access and support structures in the building and construction industries, shipbuilding, offshore construction and industrial maintenance. 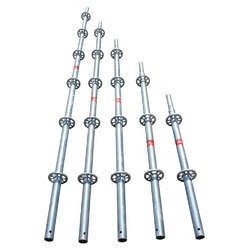 Ring lock is a fast-erecting modular scaffolding system made of galvanized steel. 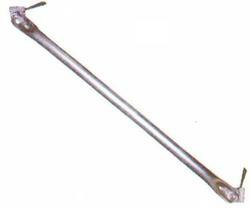 Provides high-productivity on irregular structures and restricted entry situations. it is easy and straight forward to erect. Posts and horizontals make up the two principle components and their connecting hardware is permanently set in place. Ringlock standards have ring joints welded at every 500mm or 1000mm intervals, thus offering levels for working & also for bracing the standards while using in the slab support when loaded. We are one of the leading Manufacturer and Exporter of Scaffolding Ledgers, that are appreciated for their robust construction. Owing to the quality raw material used, our products ensure durability and reliability. Fabricated keeping in mind the requirements of our clients, these are available in various sizes. Diagonal Brace conviniently braces the Standards diagonally and are available in modular lengths, as per requirements. 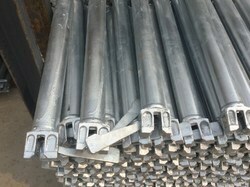 Looking for Ringlock Scaffolding ?